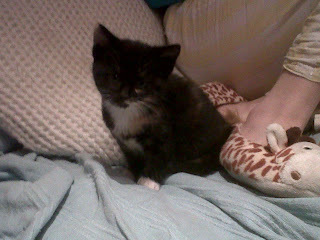 Those of you who read my blog regularly will know that I am a Dawn French fan. It should come as no surprise then, that I've read her first work of fiction. I'm sceptical about celebs turned novelists. I tend to feel that they don't have enough literary creditability to merit all the fuss that is made about their work (Katie Price is a perfect example). However, as Dawn French has spent years writing scripts and comedy sketches, I've concluded that she has been oozing the creativity needed to write a novel for years, and therefore she doesn't count as a celeb turned novelist in the derogatory sense of the phrase. A Tiny Bit Marvellous is cleverly dissected in to bitesize chapters, each written in the first person by a member of a fairly average family. There is Mo, the child psychologist mother whose own children are a mystery to her. The children, by the way, are Dora, a seventeen year old with a serious attitude and a foul month, who somehow is also funny, sensitive and child-ish at the same time, and Peter, or Oscar as he prefers to be called. Oscar as in Oscar Wilde, who epitomises British eccentricity. There there is Dad, who is more of a presence than a voice, as he has only one chapter to his name. There's also Poo the dog. The dramatisation of family life is warm and funny, yet it doesn't lack action. Mo seems to exist a hazy world in which she doesn't realise how much she has until she risks loosing it all. Dora's life is a never-ending whirlwind of drama, from proms to crushes to teenage hormones and school girl arguments. Oscar's character offers a refreshing suggestion of how we should all care less about what people think about us. And Dad, he's exactly what you want a Dad to be, kind, generous and soft, yet also fiercely protective of his brood. Each paragraph contains the wit and humour associated with Dawn French, but it also has serious notes, and highlights the importance of family life. And just in case you need another reason to read it, at the very back there's Nana P's cake recipes. I'd recommend the beetroot cake. A Tiny Bit Marvellous by Dawn French is published by Michael Joseph (an imprint of Penguin) and is available to buy now. Cultural vandalism was the term used by The Guardian to describe the proposed library cuts. I'm sure all those of you residing in the UK are aware of the controversy surrounding current plans to cut library spending. I can't help but feel that the end of the library era would be the beginning of the end for books. Electronic books already threaten the world of book publishing, and to loose libraries as well would surely breed a generation of children who turn on a television rather than pick up a book. 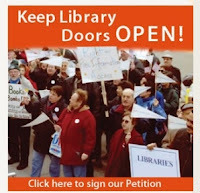 I sincerely hope that all of you facing local library closures will support your local library and fight the closures. I always find it tricky to find a source in which really good books are recommended. Here's the thing, although I like to have read a good selection of the current best sellers, really I'd rather be buying books by perhaps less well known authors, and uncovering some gems. The problem is where to find such books. Whilst the amazon best seller list is of course a wonderful source, I want something a little less mass marketed than the books that appear on there. Publishers websites always offer lists and reviews of their most recent releases, the problem is they are all marketed to sound amazing, but are all too often disappointing when they arrive in the post. So where do I find good recommendations? Newspapers such as The Guardian, The Times and The New York Times do provide reviews, and they're often incredibly insightful. I've also come to rely on the books chosen for the BBC Radio 4 Book at Bedtime programme. I find it difficult to listen to books and so much prefer to read it myself, but the books chosen for this are, in my experience, always fantastic reads. Crimson China, Sister and A Tiny Bit Marvellous have all been taken from their lists and all have been really great reads. If you want to check it out, follow the link Book at Bedtime. Other than that, my dear readers, I rely on fellow bloggers who make such a huge variety of suggestions for reading that I am spoilt for choice, and offer honest reviews of their reads. So thank you bloggers, for opening my eyes to hundreds of books I would never have heard about with you.